Basically, this is the controller version of getting peanut butter in the chocolate. When it comes to the ergonomic aspects of what makes a comfortable controller, at least for consoles, consumers always seem to be stuck with the initial design. 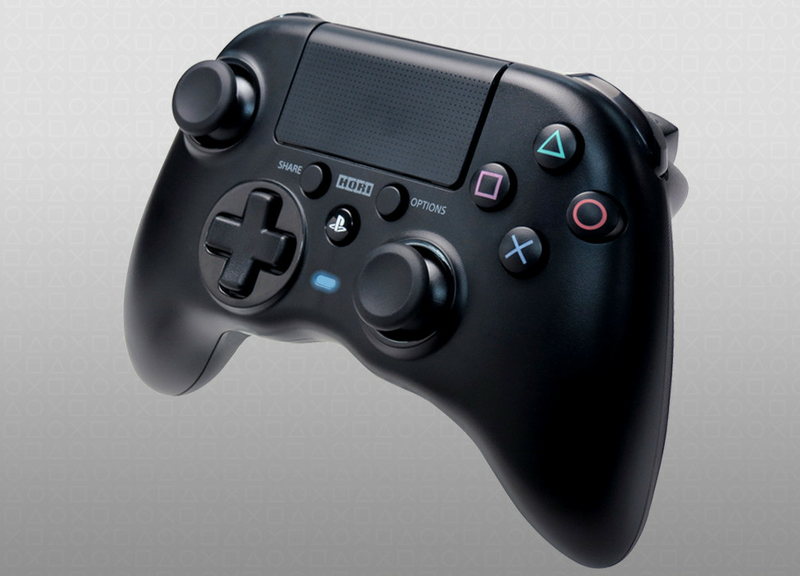 Hori however, seems to be throwing out all the traditional rules with their latest third-party PS4 controller. The Hori Onyx Wireless Controllers is not only the first third-party wireless controller for PS4, but it also appears to have taken its design from an Xbox One controller. 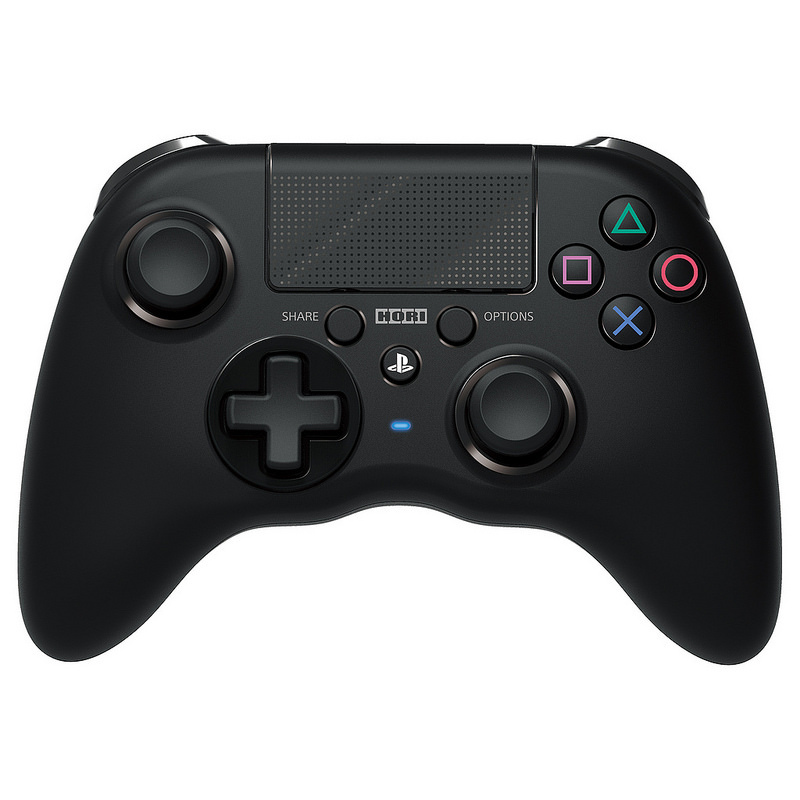 It features everything you'd get in a first-party PS4 controller, including the touchpad, but the left analog stick and d-pad have swapped spots, and the grips are much larger. Honestly, I'm not sure why more third-party companies haven't done this before. Nowhere in the rule book does it say peripherals have to all have the same shape, just the same functionality. PC gamers have had the freedom to use whatever controllers they prefer for some time now, why shouldn't console players have that same versatility? Unfortunately for US consumers though, Sony doesn't usually license products like this for sale stateside. European gamers are the only ones who will get a chance to check out Hori's new controller when it launches next week. Importing one may be an option, but be prepared to pay extra fees to get one. I would give so much for a controller that was shaped like a ps3/4 controller but was just BIGGER. Any word on battery life? That's the most important correction they could make, I feel. *shrug* I'd try it. I like the Xbox d-pads, actually. Cause I'm a weirdo. Yeah, they really refined what their formula with the XB1 controller. Any idea on the price of this? Hey, offset analog sticks! Always appreciate those. Never liked the offset analog sticks. I have decent sized hands so the Dual Shock stick placement has always felt natural to me.